Make memories of a lifetime! Enjoy the sun and sand beach paradise. 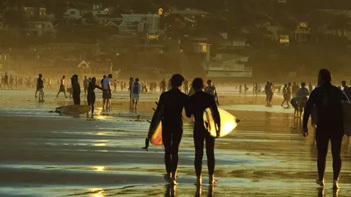 Get romantic inspiration at La Jolla Shores. 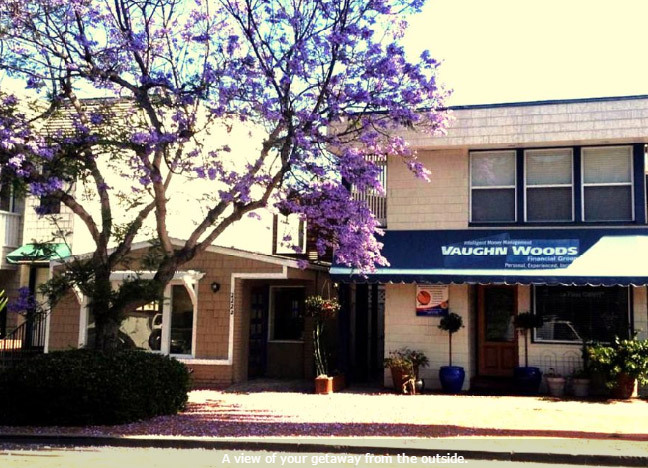 Just a 4-minute walk from the beach! 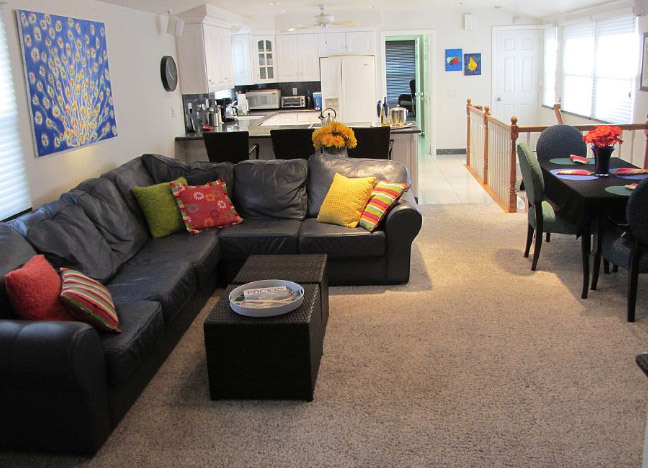 Our 1,100 square foot rental offers so much more than a hotel room. Read our reviews & guestbook comments! 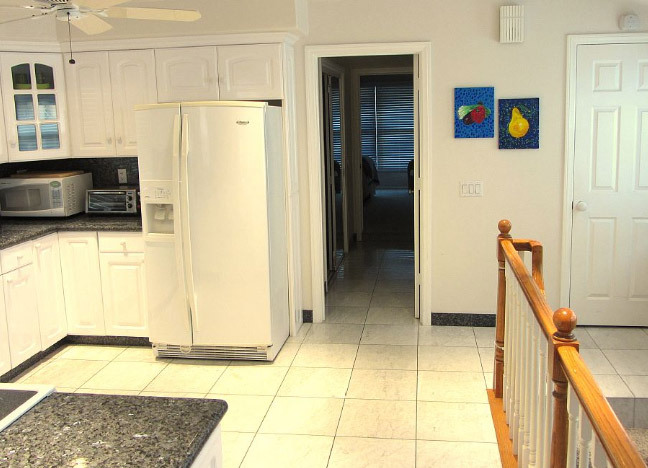 Walk to the beach in 4 minutes from this charming, clean and centrally-located, 2-bedroom, 2-bath rental. This large, beautiful beach allows swimming, boogie boarding, surfing, kayaking, scuba diving & snorkeling. La Jolla Shores is an underwater paradise. We had a great time in La Jolla this year. The condo was clean and had every ammenity that we could want in a condo and for the beach. The location is great! 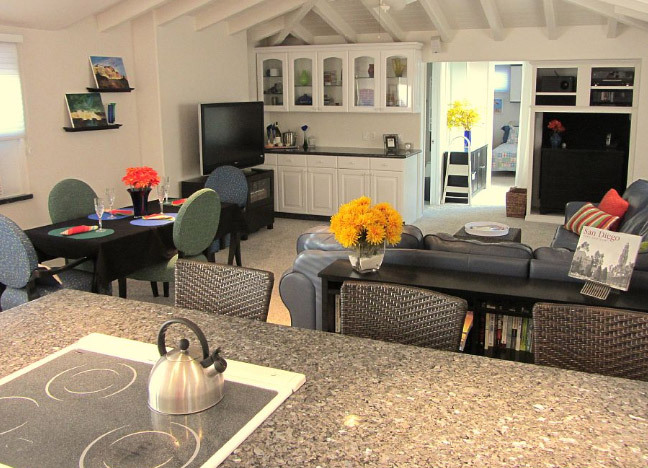 It is right next to shopping and restaurants and an easy 3-5 minute walk to the beach. Just a quick review that does not do this spot justice. 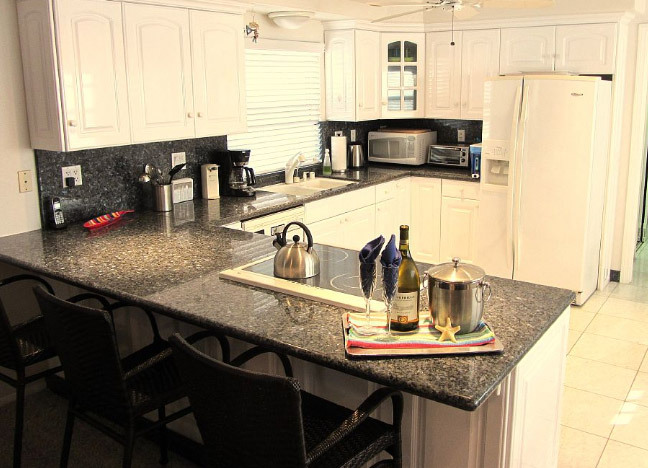 The owners have thought of many nice details and seem to take pride in their VRBO. Terry was very helpful and met us at the gate and showed us how everything worked. There is quite a lot of hustle and bustle on Labor Day weekend and parking is a nightmare in La Jolla Shores. Once parked in the new garage, you might want to explore by foot. We had a wonderful month in this lovely apartment in La Jolla. The size was perfect for us. Our adult son spent three of the weeks with us and his schedule is almost opposite of ours. The two bedrooms are at either end of the apartment so he didn't bother us staying up late and night and we didn't bother him getting up early in the morning. Family dinners were fun because the kitchen is the right size for two or more people to work together. We had a wonderful stay in this very conveniently located condo. The condo was very comfortable with a well equipped kitchen. 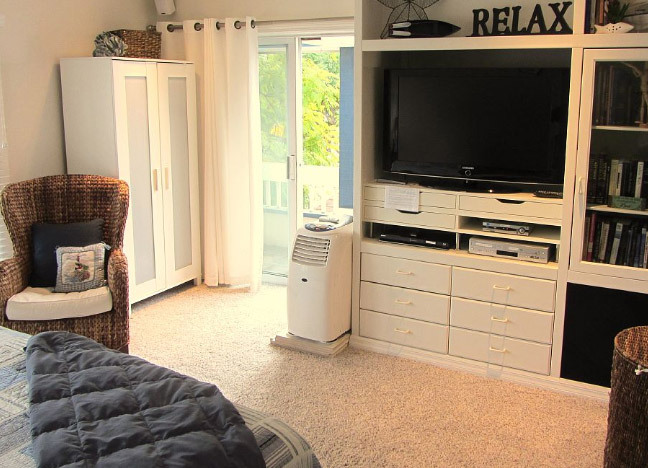 We stayed there with our three sons and the layout is perfect with the two bedrooms being at opposite ends of the apartment, allowing for considerable privacy. The location is amazing. 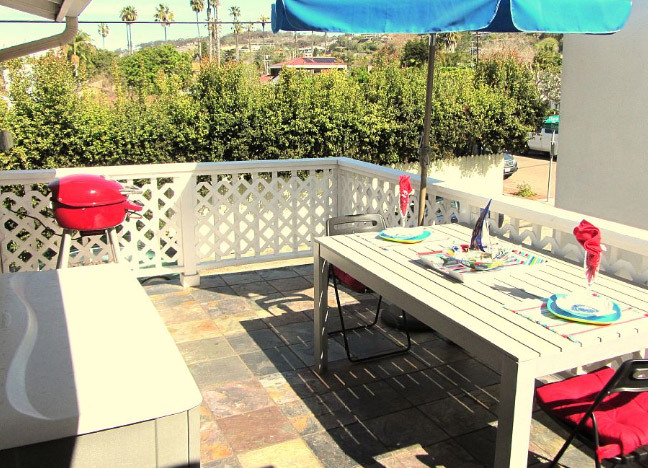 This vacation rental in La Jolla Shores is an excellent choice. 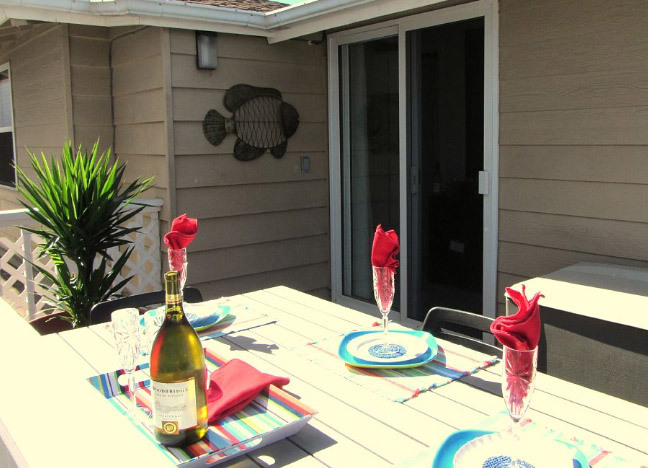 We have stayed in many vacation rentals in the San Diego beach area as well as around the world. 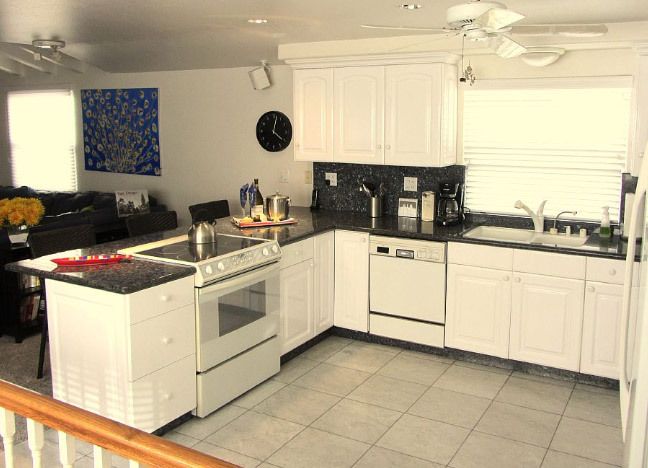 This rental is the most well managed and thoughtfully designed property in which we have stayed. We've returned multiple times and would again without hesitation. Here’s why our guests call this the perfect location. No nighttime beach party noise, but still close enough to roast marshmallows with the kids before retiring. 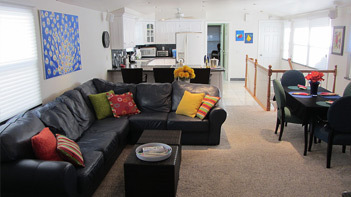 The living area is a delightfully relaxing, open, combined living/kitchen space with a bedroom and bath at each end. 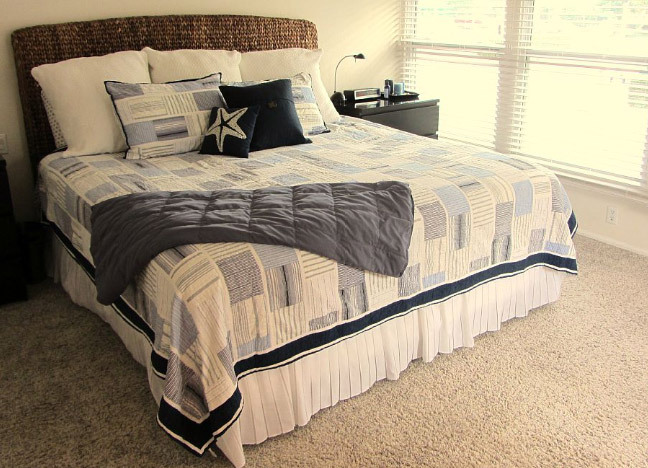 If clean and comfortable are important to you, this is a jewel. A ‘Westin Heavenly Bed’ king mattress is in the master bedroom. The living area and master bedroom include flat-panel TV’s. Wireless high-speed internet & printer are available. 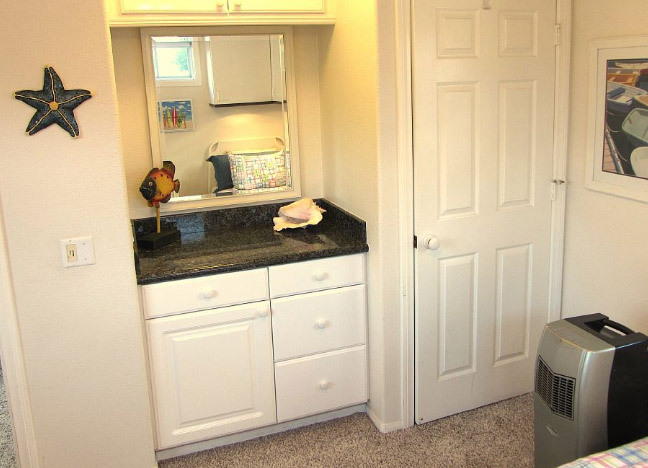 Granite counters, ceiling fans, a/c and plush carpeting throughout. Your private entry gate is complete with security code. You get so much more than a hotel room! Non Smoking Only:No smoking inside or out. A completely smoke-free environment. Business-Hours Office Concierge available for printing, faxing, directions and travel support. This mile-long beach is San Diego’s premier beach for many reasons. 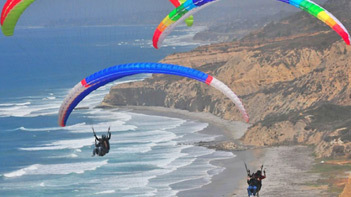 Enjoy a lazy walk on the beach, go boogie boarding, kayaking, snorkeling, scuba diving, surfing, seal watching or shopping. 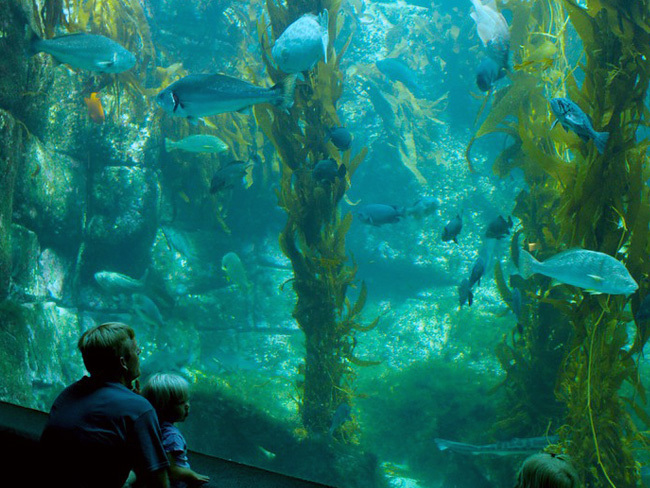 Take a hike to the the Birch Aquarium just a half mile from your door. The possibilities are almost endless. So many great activities can work up an appetite. Here at La Jolla Shores Rentals, we want you to enjoy every aspect of your stay, especially the food. We don’t want you resorting to ordering Dominos every night, unless that’s what you’re in to. 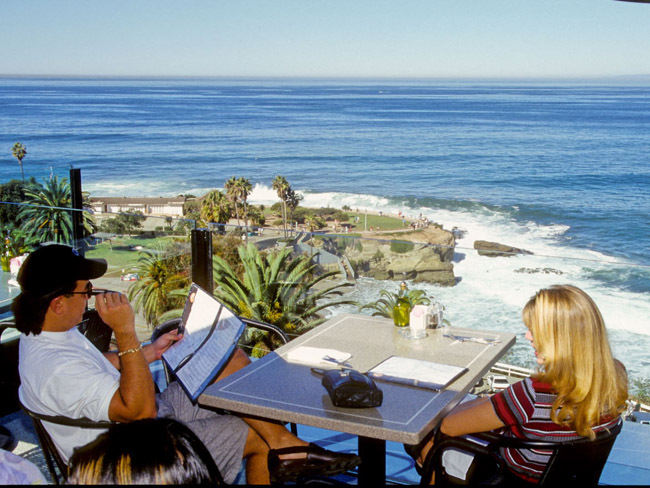 Therefore, we have compiled a list of all the best eateries San Diego has to offer, many of which are a short stroll from your front door. 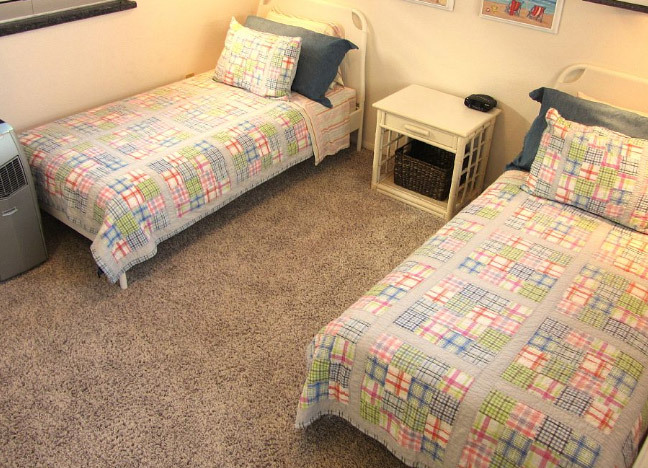 FOR THE PERFECT VACATION COME TO LA JOLLA SHORES RENTALS! © 2016 La Jolla Shores Rentals. All Rights Reserved.